Shop online for over 200 midwest building supplies at discounts up to 42%. Wood is the most popular of the 6 midwest building supplies categories, then Graphite, and Hand Tools. 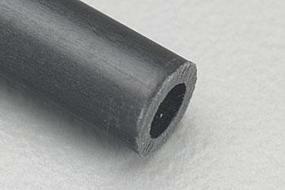 This is a Midwest .188" Carbon Fiber Tube. 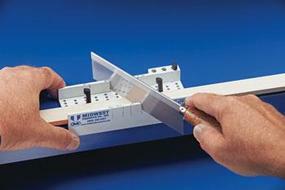 This is the Midwest Easy Miter Box with Saw. This is one Micro-Cut 12" Balsa Block by Midwest Products Company. This is 6 Micro-Cut Baltic Birch Craft Plywood Sheets (1/8") by Midwest Products Company. This Is A Package of Ten 1/16" Wood Dowels from Midwest Products Company. This is a Package of 48 Pieces of 1/8" x 1/8" x 24" Basswood from Midwest Products Co. This is a Package of 60 Strips of 3/32" x 3/32" x 24" Basswood from Midwest Products Co. This Strip Bag Is An Economy Bag of 1/4 Board Foot Balsa and Basswood from Midwest Products Company. This is a Package of 36 Pieces of 3/16" x 3/16" x 24" Basswood from Midwest Products Co. This is a Package of 30 Micro-Cut Balsa Strips (1/8"x 1/4"x 36") by Midwest Products Company. 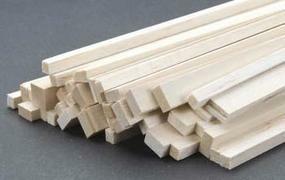 This is a Package of 15 Pieces of 3/16" x 1/2" x 24" Basswood from Midwest Products Co. This is the Midwest .210" Diameter 40" Carbon Fiber Tube. This is a Package of 36 Micro-Cut Balsa Strips (1/8"x 1/8"x 36") by Midwest Products Company. This is a Package of 15 Pieces of .0208" x .0625" x 11" Scale Lumber from Midwest Products Co. This is a package of fifty Grip Pins from Midwest. This is a Package of 30 Pieces of 1/8" x 1/4" x 24" Basswood from Midwest Products Co. This is a Package of 6 Micro-Cut Baltic Birch Craft Plywood Sheets (1/8") by Midwest Products Company. This is a Package of 36 Micro-Cut Basswood Strips (1/8) by Midwest Products Company. This is a Package of 42 Strips of 1/16" x 1/4" x 24" Basswood from Midwest Products Co.